Put these dates in your diaries now! The IPIA is deeply committed to adapting to reflect the market and the different needs of its members. This process is fundamental to the IPIA’s future and its role supporting the industry as a powerful voice promoting print. The size of presence at each non-IPIA event depends on the level of membership interest/involvement. The IPIA organise and host 2 very successful and well attended networking lunches a year in the Spring and Summer. Members and non-members are invited. We rotate the seating in between courses to maximise networking opportunities. These lunches are the perfect way to build strong relationships within the membership. The theme for this event will be “Adding value” – a guide to producing and selling additional value. We will cover a variety of ways that value can be added through clever finishing, the use of data and how great design and content make all the difference. We will have a main speaker from the CIM who will bring this into a marketing context and we will be promoting the EPIC campaign and how integrating communications can change the value of a simple piece of print. This event will be themed around “Investing to succeed”. How investment in equipment or software is only one aspect of business growth. To succeed businesses need to invest in their people and their own marketing; delivering a different and more solution focussed message to customers. We will talk about the EPIC campaign so far and how it can help print companies develop their sales and marketing skills. A 4-course dinner, entertainment and top after dinner speaker, not to mention our recognising excellence award ceremony, this hugely entertaining evening is always a dynamic networking opportunity. A beautiful way to end a day networking at Meet the Trade Buyer/Supplier! The IPIA attends all major, relevant UK exhibitions as well as hosting successful networking events and lunches. With a focus on branded and inspirational packaging, and dedicated zones for Ecopack and Contact Pack, the event will bring together a captive audience of brands and retailers. Members can join the IPIA area or take advantage of the give away bags and product display area. The IPIA has a strong presence at this event and creates the Trade Services Village where members can showcase their products and services on the perimeter of a central networking area. This year we will promote our EPIC campaign and how printers can join us to make their companies “EPIC”. The renowned MTTB is always a great success. Supplier members have qualified appointments made for them to meet invited buyers from inside and outside of the membership. This is a superb lead generation event and involvement is highly recommended. Our partnership with Forum Events affords IPIA members preferential rates to take a presence at their Print & Digital Innovations Summit. At this event, we promote the IPIA as the place to come for advice and help for anyone wanting a trade service or procurement within the industry. The IPIA positively promotes print and the print industry to designers and marketers both in brand and agency, giving the opportunity for our members to promote to a wider, more diverse audience. The EPIC conference gives marketeers first-hand knowledge of the remarkable innovations in marketing communications taking place as a result of print. The conference is one of few events to promote print to market with no direct commercial agenda – instead the IPIA focuses on presenting inspiration, innovation and education for marketeers who want to improve their ROI and understand how innovation in our industry can support their entire marketing communications efforts. We will be bringing the EPIC message into a northern venue as a regional conference. This first one will be run as a trial to see how the event can be managed on a smaller scale to reach out to a wider variety of end user businesses. Over 5000 visitors attend this show. Key visitor profile is made up of senior marketers from B2B and B2C brands, retailers, marketing agencies and SMEs, across a multitude of sectors. 75% of the audience state their objective in attending is to increase awareness/repositioning of their brand/product/company. The IPIA will exhibit at this event to promote the membership and the value of print. Members can exhibit with us or take advantage of the IPIA hand out/bag inserts. B2B Marketing Expo is an interactive exhibition and conference designed specifically for the marketing sector. Expect to find high-quality exhibitors alongside a conference showcasing some of the world’s most influential figures in marketing. The IPIA will exhibit at this event to promote the membership and the value of print. Members can exhibit with us or take advantage of the IPIA hand out/bag inserts. Want to hold a workshop at your premises? The IPIA can help. We can organise speakers, invite attendees and help you manage the day. To enable more members to have a presence at more shows, we have introduced a “tiered” exhibiting option, ranging in price from £2,500 to £100 (Please note, The Print Show is shell scheme only, please talk to us for options and availability). New for 2018! Take a 77 x 77cm display stand with drawers or cupboards, along with a fabric literature holder with your company name attached. Branded “zoning” floor Graphic and 1 x stool. Also new for 2018, we will be having a “wall” of product display windows. 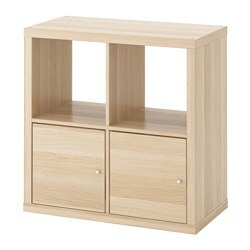 A window consists of 4 x squares on a shelving unit as below. You can display literature, products, case studies or business cards in each square. In the central point of the 4 squares will be a card identifying what you do, for instance “Short Run Packaging” so the visitor can quickly identify whether your window is of interest. Windows are unmanned, although IPIA staff are on hand to deal with enquiries on your behalf. Supply us with 200 pieces of Promotional Product or Literature for our bag inserts for a 2 day show, or 300 pieces for a 3 day show.